Make the most of your backyard during summer days! We cannot express how excited we are that spring and summer are just around the corner. We are no strangers to snow and grey skies, but we long for warm summer days and never-ending sunshine. Because Canada gets a limited amount of summer, we want to make the most of it. Starting from our backyards including the outdoor furniture! We want to have the luxury and comfort from our own home to enjoy the sunshine. Here are a few of our essentials for a perfect summer backyard! We love cooking outdoor during summer months, so having a grill in the backyard is needed! It makes for a perfect dinner with family and friends! To make our dinner parties complete, we like to have enough seating options for our loved ones to be comfortable. The Harvest Spring Dining Collection is perfect for that. This collection provides convenience and great comfort! There are also 10 colours to pick from to make this set stand out in your backyard, we also provide the flexibility to mix and match colours. The set includes a beautiful 48” bar with storage, great for convenience to store your essentials and not have to run back and forth from the house. With comfortable and sturdy bar stools for extra sitting and multifunctional purposes! Having an outdoor dining table is great to make the most of our Canadian summers! It will enhance your outdoor dining experience and make it a lot more convenient. This collection provides two table options, a round dining table or/and a square dining table. Both tables sit up to 4 adults and are built with sturdy materials! Each table has a unique set of chairs built for a perfect fit. Being able to take a nap outside while enjoying the fresh air, is one of the best things about summer. It’s beyond relaxing and peaceful, this is why we find it important to have a rest area in our backyard. A comfortable rest area can be accomplish with a hammock, long chair, a rocking chair, whichever one you find most comfortable. We love the Shae Springs Collection. 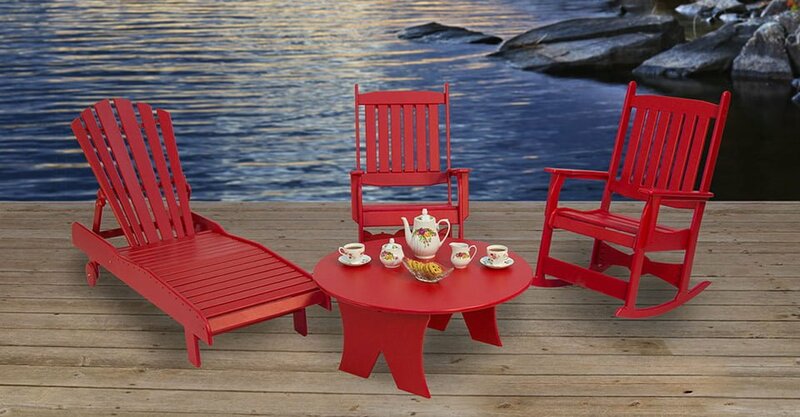 This collection has a comfortable lounge chair, classic patio rocker and a round coffee table. We enjoy the lounge chair for resting and being able to take naps! The classic patio rocker is fantastic to unwinding with a book, it’s not only comfortable, it’s also very mobile and easy to move around. 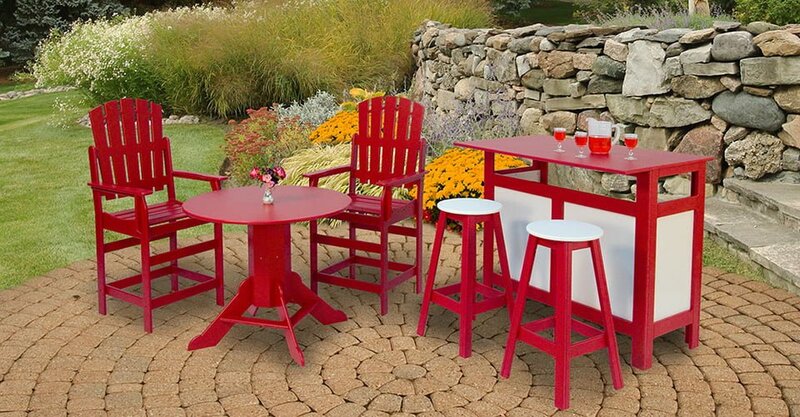 Make the most of this summer and your backyard with these stunning and sturdy outdoor furniture pieces! We provide a full range of colour selection that you can mix and match . 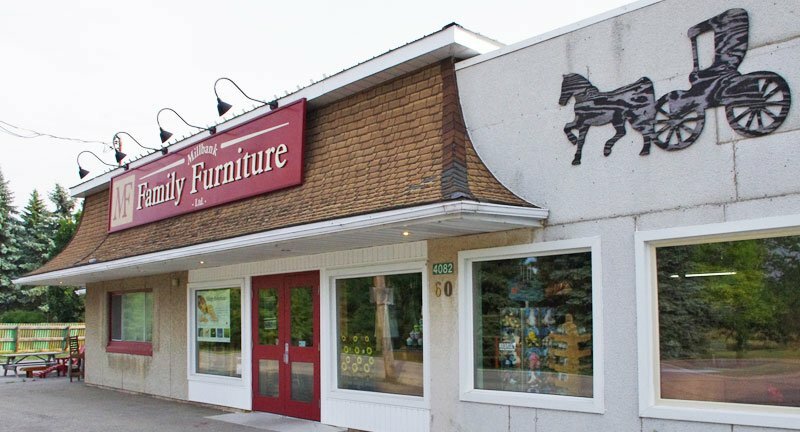 Our furniture also has a 10 year warranty and we are able to deliver any product right to your door. Contact us for more information, we are more than happy to answer any questions you may have.